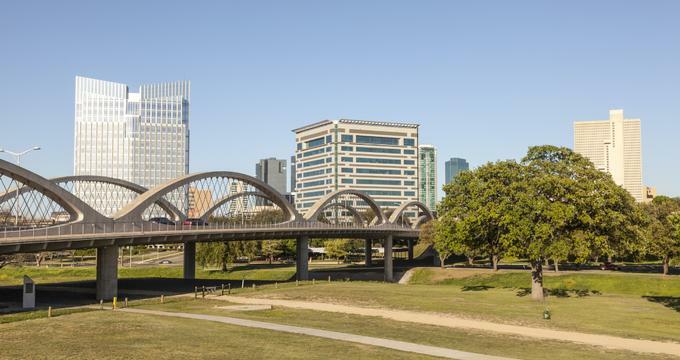 Once a frontier outpost, Fort Worth has grown into a modern city where people come for both business and fun. The city has numerous attractions, both historic and modern, as well as cultural and business centers, great shopping and dining, and a range of hotels and inns for a comfortable stay. 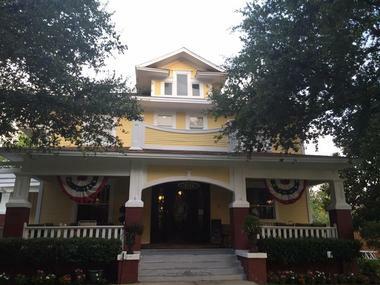 The accommodation ranges from quaint bed and breakfasts in renovated historic buildings, such as Rosen House and Lockheart Gables, to large boutique hotels downtown such as The Ashton and comfortable affordable romantic getaways such as the Comfort Inn. What makes all these hotels so typical to Fort Worth is a warm Southern hospitality blended seamlessly with modern amenities and comfort. The Rosen House Inn is a charming bed and breakfast located a short walk from downtown Fort Worth in the lovely historic Fairmount district. It has one luxurious suite and two spacious, comfortable rooms with private baths, old-fashioned claw foot tubs, hardwood floors, and luxury linens. Each room has a flat-screen TV and free Wi-Fi. Guests can relax on the charming wraparound porch or by the pool surrounded by a nicely tended garden. The day starts in the elegant formal dining room with a home-made breakfast. Coffee and cookies are available any time of the day. There is secure parking outdoors and a number of good restaurants and bars are located nearby. Lockheart Gables is a romantic adults-only bed and breakfast located in Fort Worth, Texas, perfect for a weekend getaway, anniversary, or celebration. Elegant rooms are furnished in antique furniture and each has its own style and theme. All have heart-shaped whirlpool tubs and modern amenities such as flat-screen TVs and free Wi-Fi. Three luxury suites are located in the original late 19th century mansion, which has been lovingly restored to its former glory. Two private cottages located in the garden started their life as a stone carriage house and the servants’ quarters. They have fireplaces, rain showers, and small private gardens. 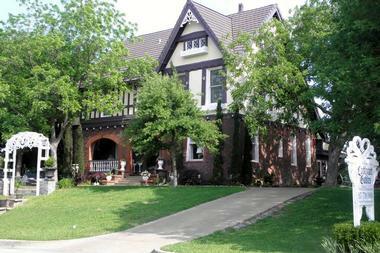 Lockheart Gables is also a great romantic setting for a wedding, private party, or a reception. 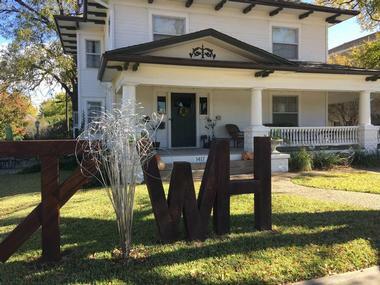 Located in Fort Worth’s historic Fairmount neighborhood, near the best restaurants and bars, the convention center, the SiNaCa glass studio, and all the city’s attractions, The Texas White House is a modern bed and breakfast located in a beautifully restored 100-year old converted home. Three bedrooms, located in the main house, have sitting areas and private baths with claw foot tubs. 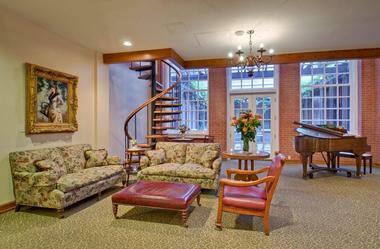 Two suites are located in the back garden in the former carriage house. They have sitting areas and modern Jacuzzi tubs. Each room is decorated in a unique style and color scheme, with original folk and western art by local artists. All rooms have modern amenities such as free Wi-Fi, flat-screen HDTVs, and iHome docking stations. Etta’s Place Bed and Breakfast is a peaceful oasis located on busy Sundance Square, surrounded by the best Fort Worth restaurants, shops, and cultural attractions. The inn was named by the Sundance Kid's mysterious Texas girlfriend Etta. Her gang Hole in the Wall used to hang out nearby, at the notorious rowdy Hell's Half Acre precinct. Etta’s Place is located on the second floor of the historic building, which houses the Reata Restaurant and offers a feel of a cozy Southern home. It has ten guest rooms and suites filled with antiques, original artwork and decorative pieces collected from all over Texas. All rooms have private bathrooms, flat-screen cable TVs, and free Wi-Fi. A full breakfast is served in the beautiful sunny dining room or on the patio. Located in Fossil Creek, a Fort Worth neighborhood, Staybridge is less than a mile from Golf Club Fossil Creek and less than 9 miles from Sundance Square, Cowtown Coliseum, and Billy Bob's Texas and Bass Performance Hall. The hotel has 84 luxury suites with fully equipped kitchens with stovetops, refrigerators, microwaves, and dishwashers. The rooms all have free Wi-Fi, coffeemakers, and flat-screen TVs. 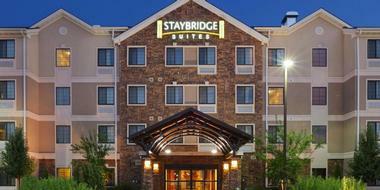 The smoke-free hotel offers its guests a 24-hour fitness center, business center, and a meeting room. The mornings start with free buffet breakfast. Free parking and laundry facilities are also available. 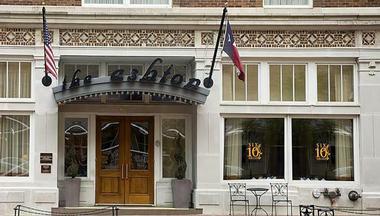 The Ashton Hotel is a modern, stylish, and elegant boutique hotel located in an historic neighborhood of Fort Worth close to the heart of the city. While the two 1915 buildings that form the hotel are listed on the National Register of Historical Places, they have been fully renovated, retaining the unique historical architecture. The hotel has 39 spacious and beautifully appointed suites and rooms with furniture custom-designed for the hotel and the signature Ashton beds dressed with luxurious linens. The modern amenities include complimentary Wi-Fi, flat-screen TVs, iPod docking stations, a complimentary wine hour on weekend afternoons, and much more. The hotel is a popular Fort Worth traditional spot for afternoon tea. 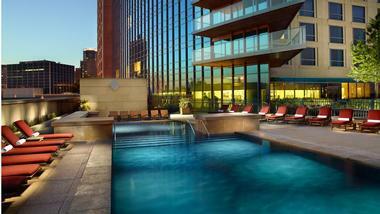 Omni is Fort Worth's most authentic and largest downtown hotel. Its design combines modern elements such as expanses of glass with native materials such as stone. The goal is to show its guests traditional Southern hospitality in a comfortable, luxury environment located in the heart of the city, surrounded by the city’s most important features and attractions, the Fort Worth Convention Center, restaurants, theatres, and bars. The hotel offers 614 luxury suites and comfortable guest rooms with luxury linens and authentic Texas touches such as stitched pillows and saddle blanket throws. All rooms have the modern amenities that discerning guests expect such as Wi-Fi, cable TVs, and private bathrooms. The guests can enjoy the in-hotel spa and rooftop pool. 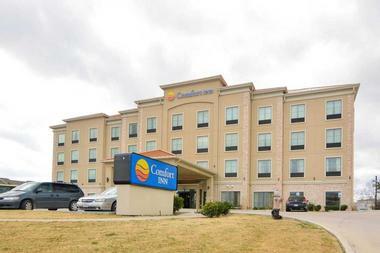 Comfort Inn in Fort Worth is a modern four-story hotel about 7 miles from the historic Stockyards District and 8 miles from the city’s downtown. All rooms have private bathrooms with showers, comfortable beds and linens, free Wi-Fi, flat-screen TVs, mini-fridges, and microwaves. Suites also have whirlpool tubs or pull-out sofas. Guests enjoy complimentary breakfast buffet, an indoor saltwater pool, a whirlpool spa, an exercise room, laundry facilities, and free parking. There is a large, modern business center as well as extensive conference facilities.